You will immediately sense the unique shopping and buying experience at this very special Main Line store. If you are seeking an automotive shopping and buying experience that mirrors our luxurious vehicles you have come to the right location. Experienced, Knowledgable, and Friendly staff make this a fun place to shop and a great place to service your vehicle. If you do not find this to be the best automotive shopping experience that you have ever experienced simply stop and see the on-site owner Michael Smyth, or the General Manager Tak Papariello. If you are looking for warm smiles and a comfortable environment this is your store. We guarantee that you will immediately feel the difference. 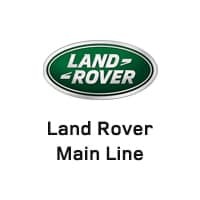 We are honored to have you consider driving a luxury vehicle with the Main Line badge on it. We hire people that have a strong desire to serve our customers throughout their ownership experience. Check out the Main Line difference!